Roblox gaming platform has allowed many users to create games like Roblox Phantom Forces. Phantom forces is an amazing first person shooting game designed and developed by stylis studios. This game is inspired by games such as battlefield gaming series. The game has beautiful scenarios and missions with different weapons and adventure from the military world. Play the game with your friends from a different region on the most active servers to enhance your gaming experience. This blog is the answer for – how to download Robolox Phantom Forces on PC and the mobile. Maps and landmarks are smooth in this game. Recently a new map called Lucky was added on to the Roblox Phantom Forces. With map and its clear layout including buildings, motels, hideouts and other structures, the game provides a realistic experience while playing. There are many other minute details such as grass, terrain and vegetation are the plus point. The new map has larger buildings and casinos, which gives a better view on Roblox gaming platform. Download Phantom Forces for free to enjoy the game. How to Download Phantom Forces for Free? 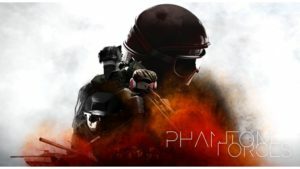 Search for the Phantom forces, configure it and play the game. This is the indirect method, where you will download Phantom forces apk on PC through Bluestack. Open the Roblox and download Roblox Phantom Forces on android emulator. This is a simple guide for how to download Roblox Phantom Forces on PC.